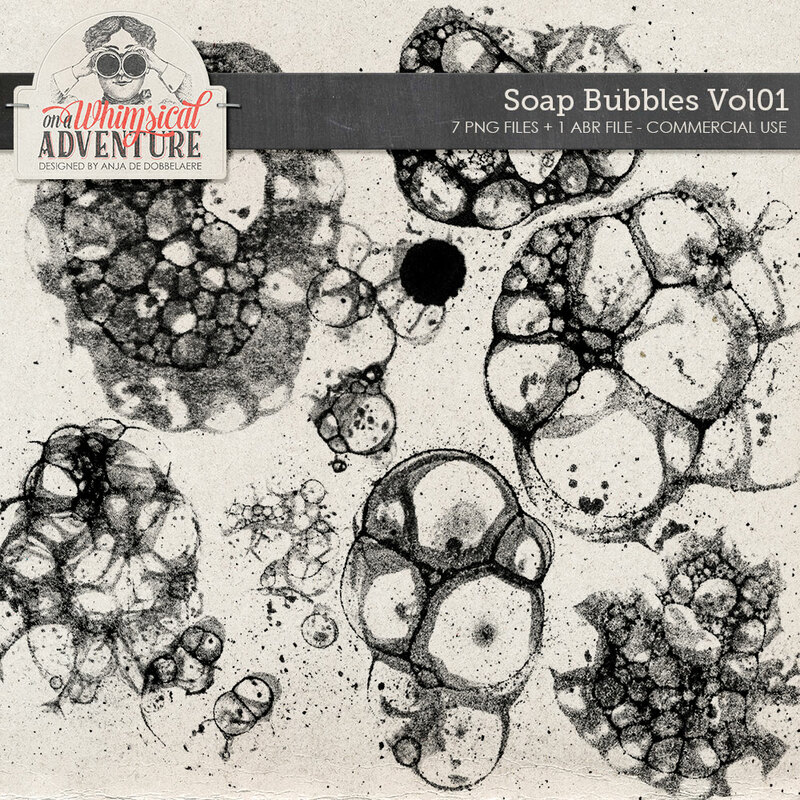 This week’s Commercial Use pack is this set of 7 handmade bubbles, created with ink, soap, a piece of paper and a straw. They were scanned, edited and cleaned up. I used a slightly absorbing paper, hence the soft texture. These brushes are so much fun to use, to make graffiti, messy brushes, to add texture… Play with blend modes and opacities for surprising results. The PNG files are quite large: sizes are ranging between 2168 and 2451 px. You may use these brushes in your personal projects, or to create elements and papers for kits that you sell. Please note that this pack was previously available as a personal use item.